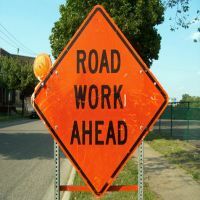 (Richmond, IN)--Richmond Common Council members were given an update on street construction in the downtown area Monday night. The bottom line is that construction will continue well into next year. INDOT managers said work on South A and North 8th won’t likely be done until sometime next April. Bike path construction on East Main and 10th Street is not expected to wrap up until next June. INDOT did tell a city representative that all lanes of U.S. 40 and U.S. 27 would be opened for the winter months.